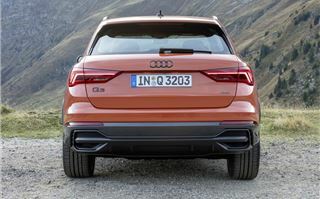 The original Audi Q3 was a big seller for Audi in the UK. 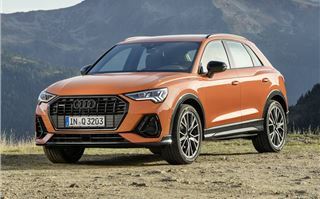 But then it was a compact crossover with an Audi badge on it - of course it was popular. Thing is, it wasn't actually all that good. Bit cramped in the back, dated interior and horrible steering. It's a pretty good looking thing from the outside. The pictures here maybe don't quite convey it, but get up close and you'll find it sits a lot taller than the old Q3 and feels bigger all round. 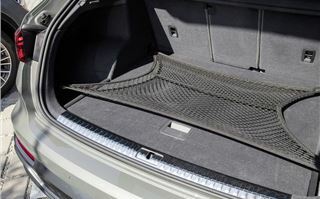 The rear seats slide forward by 15cm, giving you a bit more flexibility if you want to carry big stuff in the 530-litre boot. The seats also tilt. 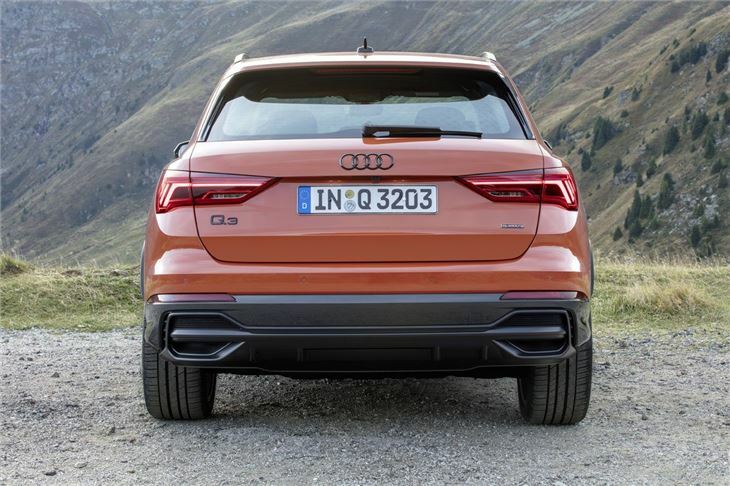 It's perhaps here where this Q3 is most improved from the old model. It's far less cramped with more space for your elbows and far more legroom. The close to ancient interior design of the old Q3 has been replaced by a lovely posh new cabin that's essentially a scaled down version of what you'd get in a Q8 or A7 Sportback. 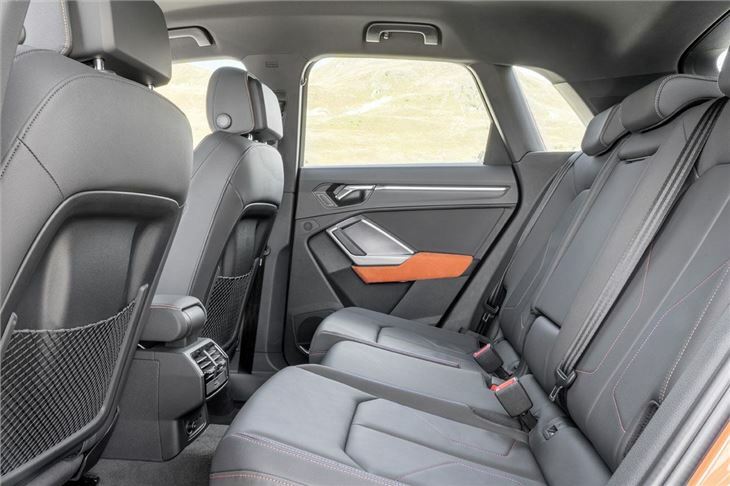 We reckon this is one of the best interiors ever committed to a car - and it's a very succesful transition into the Q3. The quality of the finish is impeccable and it has that same luxury sensation as you'd find in the aforementioned Q8. It certainly feels streets ahead of a BMW X2 or Mercedes-Benz GLA. It comes with niceties such as Audi's 'virtual cockpit', essentially replacing the analogue dials with a high res screen. Don't get too excited though, the full version in the picture above is an optional extra - otherwise it's a slightly less posh but still digital 10.25-inch screen. The MMI Navigation system - standard on all models - is excellent and really easy to use, plus it's a proper touchscreen rather than needing a dial controller. 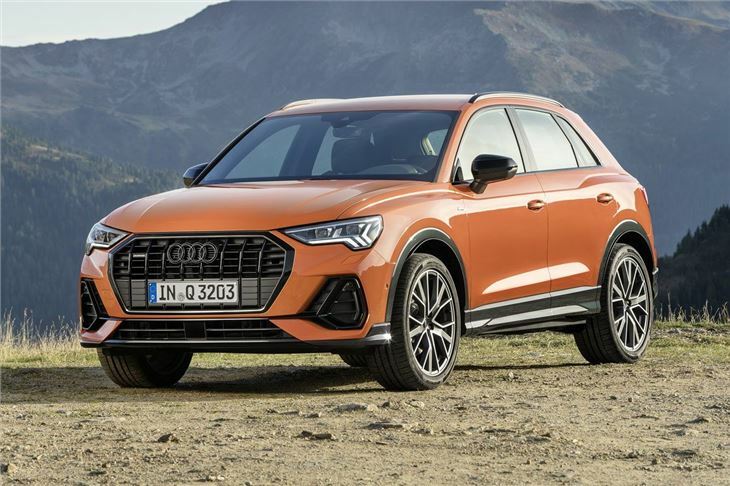 Thanks to Audi's new baffling badging system, the 1.5 TFSI petrol engine we're driving here is now called 35 TFSI - available with an S tronic, while a six-speed manual is on its way next year. 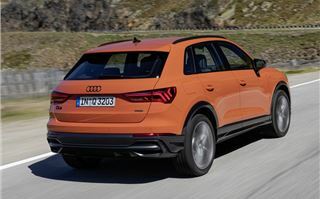 There is also a 2.0 TFSI engine (available with 230PS in the top version) plus of course the ubiquitous 2.0 TDI that comes with 150PS, badged 35 TDI, or 190PS, called 40 TDI. Keeping up? 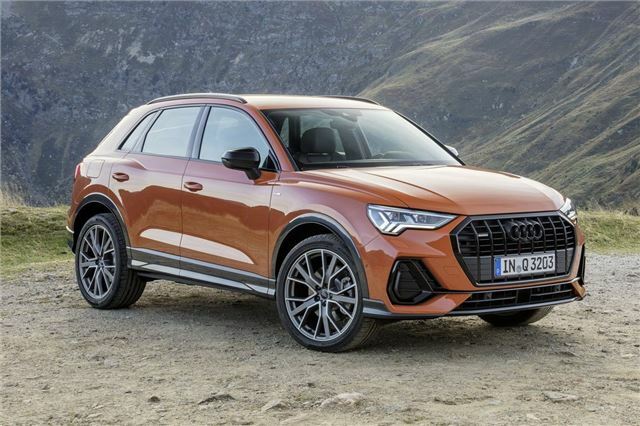 As everyone abandons diesel quicker than first class passengers jumping into lifeboats on the Titanic, it's no surprise that the 35 TFSI with the S tronic automatic is the model Audi reckons will be the most popular. That said, it doesn't make for the most convincing drive. First the positives - it's very smooth and quiet, unless you rev the bolts off it and has decent get up and go initially. But it's really hampered by the S tronic gearbox which seems to sap the power - and enjoyment - out of what is, we know from other Volkswagen Group cars - a great little engine. It's slow to respond when you ask it for any acceleration, and when you do, the revs pick up and it's pretty noisy. That lag quickly becomes frustrating, especially when you slow down for a roundabout at around, say 20mph, before accelerating again. The wait for power to kick in is in borderline 'build the tension before announcing who's going to be given the boot on X Factor' territory. 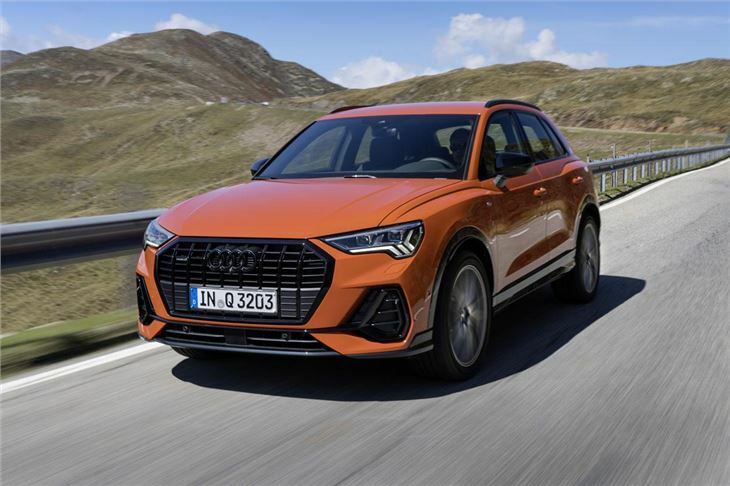 Usefully, Audi hasn't given us any fuel economy figures yet, but you don't need to be a Belgian detective with a funny 'tache to look at the Volkswagen T-Roc and work out that Audi will claim the 1.5 TFSI S tronic will do somewhere around 50mpg, while if you live in the real world you'll be getting early 40s. There's better news when you're driving the Q3. The steering is a vast improvement with a more fluid nature and it still handles well. The ride is a touch on the firm side which you'll notice as soon as you get on a bit of broken tarmac, but that said, it's not uncomfortable. We wouldn't say it's an engaging car to drive, but it is comfortable and serene on the move. 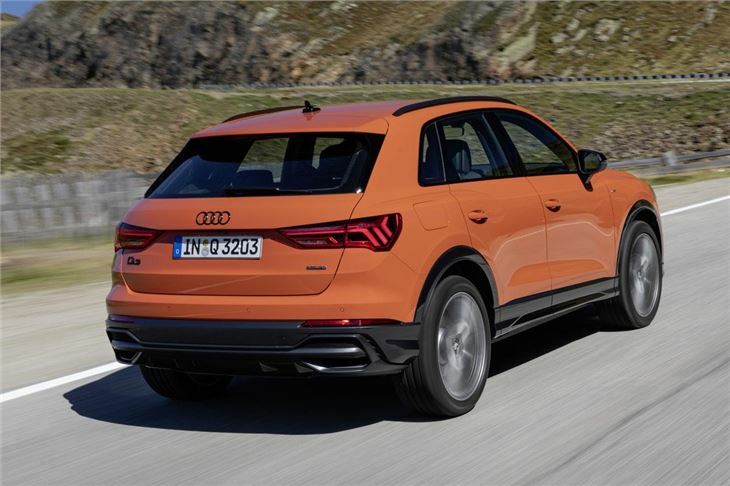 If you're in the market for a small SUV (or crossover, call them what you will), the new Audi Q3 is very desirable. And that's up against some very good alternatives like the Volvo XC40 and BMW X2. There are fine margins here but sadly, the 1.5 TSI and S tronic combination does not show the Q3 at its best. The manual gearbox is a much better choice and it's that we'd be waiting for here. 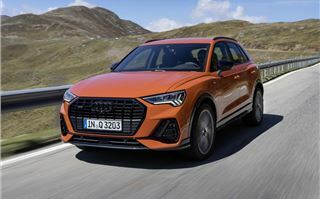 Orders for the new Q3 open in the autumn with first deliveries expected in November 2018. Prices are expected to start at around £31,000.